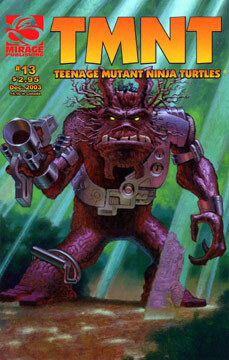 Donatello and the Utroms investigate the jungle where the strange dinosaurs had attacked a previous exploration team and discover a bizarre new creature – brandishing a weapon! Meanwhile, April and Casey continue to delve into her mysterious past while Michelangelo begins his new career as an ambassador/tour guide for visiting aliens. Raphael suffers from complications after being attacked by vampires.